The future of carpet cleaning demands more than just a miracle chemical. It requires an efficient, sustainable and green business model. We've taken green to the extreme. From chemistry to processes, we're redefining what it means to be green. Our results are effective; guaranteed and proven through the soil-laden crystals that shine on the floor after application. The following photos are of the dried, undiluted capsules that produce these amazing results. Our primary solution encapsulates foreign soils in a clear polymer that looks perfect to the naked eye and even under low magnification. The crystals are 100% safe to contact and are removed easily by vacuum after cleaning, which can be done at any time without adverse effect. 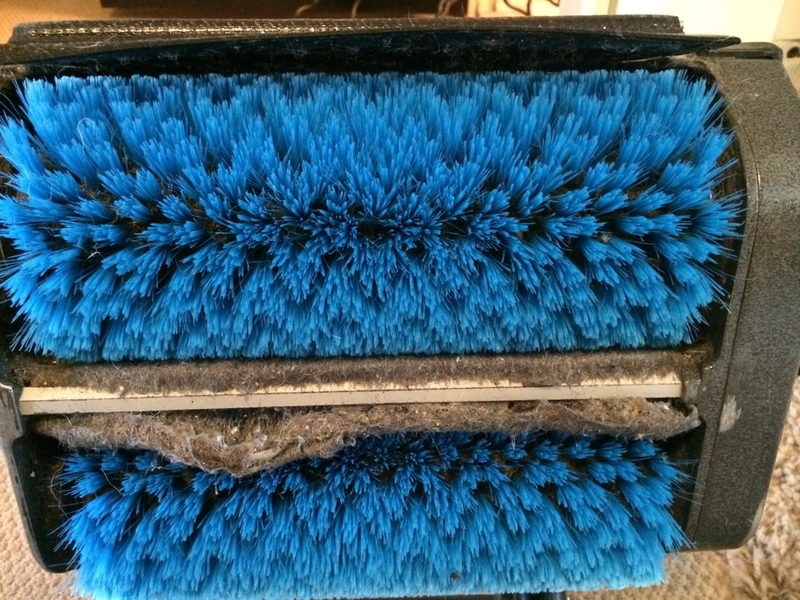 Each machine has two big brushes that work with our encapsulating solution to turn hair, dust and soil particles into big nasty clumps which are later disposed of by DG technicians. You'll immediately see brighter, more vibrant carpet that feels clean and dry within minutes. Renewed freshness fills the air due to removal of powerful odors trapped deep within your carpet. We clean up to 2000 square feet per hour and frequently deliver dry carpet in less than 30 minutes. Plus, all of our equipment is 100% electric! We can easily service anyone, at any sea level, as long as they have electricity. Our customized maintenance programs help many households and firms practically eliminate the need for major deep extractions in the future. Unfortunately, our service is not for everyone. If your carpet is already very heavily soiled, then it will likely require major deep extraction before using our service. We can handle most spots and stains but if its really bad we may recommend you to a different firm. Steamers consume approximately 6000+ gallons of water to clean 100,000 square feet of carpet. DG only uses 50 gallons to clean the same amount of carpeted space. Plus, we're 100% electric! All we need is a wall plug to get juice and sink for wee bit of water. Truck mount systems use 319% more energy per square foot which translates into 77% reduction in emissions by choosing DGM. Our products supports the sustainable provisions outlined by the LEED standards and meet the requirements for green building certification. Green Seal certified chemistry contributes to protecting the built environment and promoting healthy building standards. These green products were designed to integrate reusable and replaceable components that are manufactured for longer life cycles and avoid unnecessary landfill disposal. This green cleaning technology is designed to conserve water and reduce chemical usage. Concentrates in recyclable packaging are designed to conserve natural resources. The only piece of piece of paper you'll ever get from us will be beautifully crafted into a business card made from Mohawk Superfine Paper. All other communications, payments, receipts, confirmations, etc are done on company iPhone or iPad with your finger. Nasty stuff we brush from carpet!